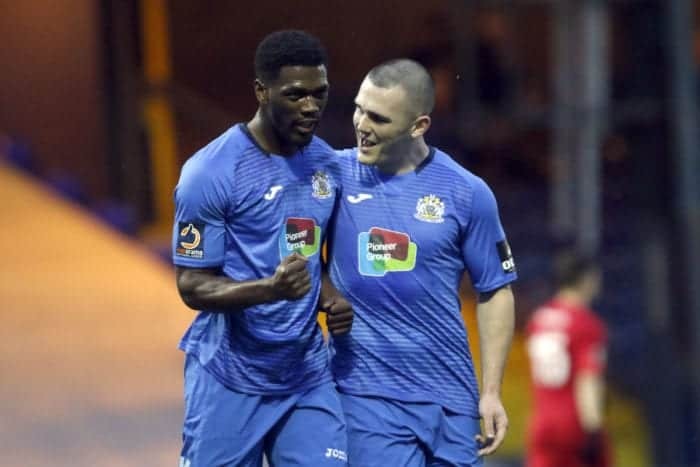 Warburton The Toast Of Stockport, As Rampant Hatters Tame White Tigers! 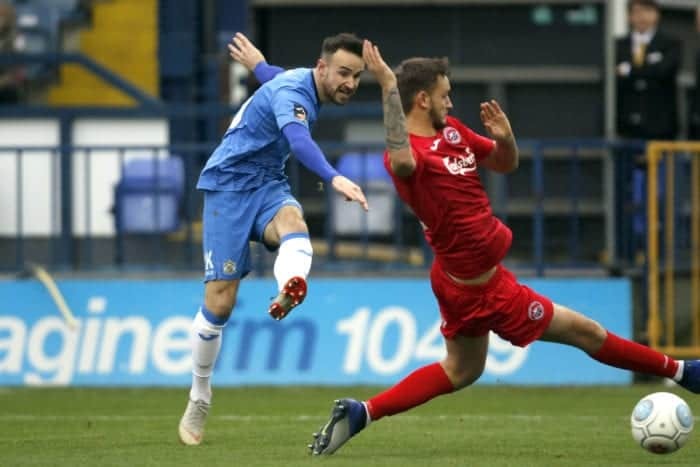 County produced another exhilarating, dominant performance at Edgeley Park, to put long-distance visitors Truro City, from the National League South, to the sword in the FA Trophy. The Hatters’ record five-goal victory in the competition came thanks to a haul of four for Matty Warburton – making him the first player in a County shirt since Adam le Fondre, over a dozen years earlier, to notch that many in a competitive game – and a second successful strike in as many matches from Darren Stephenson, which saw them comfortably through to the last 16, at the expense of the ‘White Tigers’, as they earned their sixth successive win without conceding. 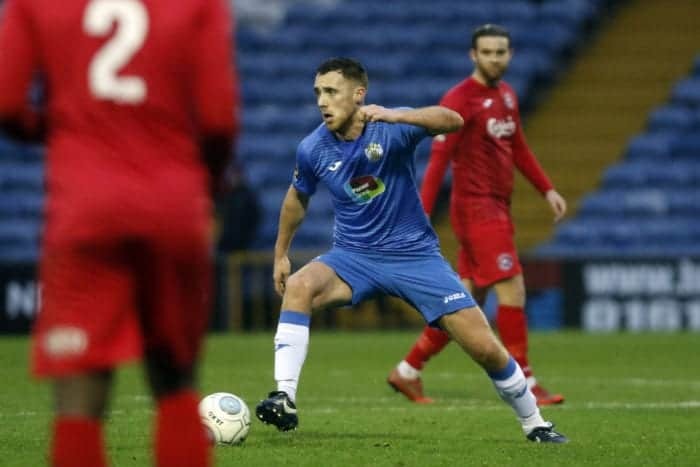 Jim Gannon named an unchanged starting line-up from that which had taken to the field at EP in league action against Bradford (Park Avenue) a week previously. And Warburton, who had opened the scoring after five minutes on that occasion, was even quicker off the mark seven days later. With just three minutes gone, the leading scorer latched on to Stephenson’s pass from the edge of the box, before unleashing a low, left-footed shot into the bottom-right corner of the net. The Hatters continued to dominate – winning five corners within the first 11 minutes, and doubling their lead after 17 had passed when teenage goalkeeper William Buse could only parry Adam Thomas’ shot, following a low Stephenson cross from the left, and Warburton fired in the rebound. 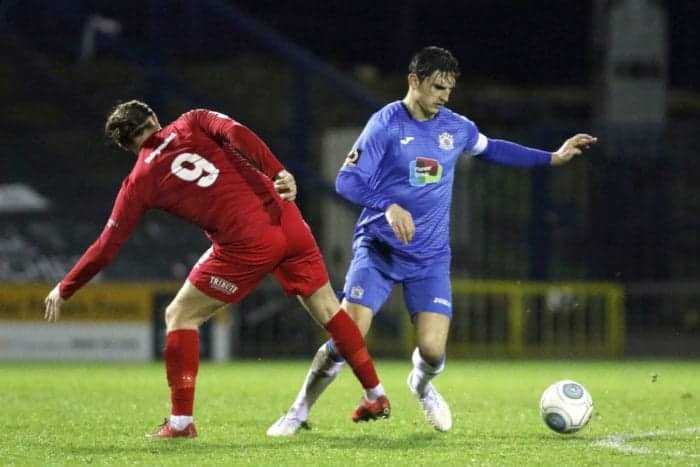 The Cornish visitors, halfway through their 650-mile round trip, were enjoying little sight of County’s goal – with only a Tyler Harvey effort from distance, that was comfortably held by Ben Hinchliffe, to show for their first-half endeavours. And by the half-hour mark, the Hatters were effectively out of sight with four to their name. Jordan Keane’s flick into the area was converted by Warburton for his hat-trick, before Stephenson drilled home a low cross from Thomas on the right two minutes later. Warburton blasted over another Thomas cross before the break – and Thomas himself had a golden opportunity to add to the tally, although failed to connect, after Buse fumbled. But the visiting ‘keeper did well on the stroke of half-time to tip a Keane pile-driver around the left post. HALF-TIME: County 4 (Warburton, 3, 17 and 27; Stephenson, 29), Truro 0. The one-way traffic resumed after the interval, as County earned four further corners within the opening five minutes. From the fourth of them, delivered by Paul Turnbull on the left towards the near post, Frank Mulhern glanced his header across the goalmouth and just wide of the far upright. The two goal-scorers fired attempts beyond the left post either side of the hour-mark – but, with 25 minutes remaining, Stephenson and Warburton combined to great effect again, as the former’s through-ball was slotted in by the latter for his 18th goal of the campaign in all competitions. 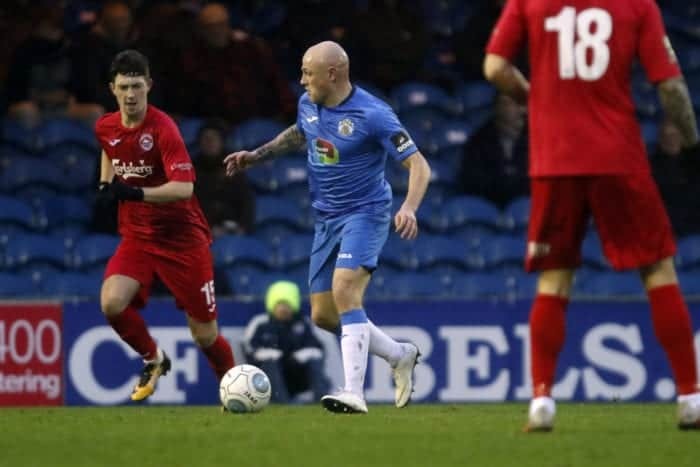 The visitors had their best chance to salvage some pride after 78 minutes, when Jared Lewington was played through on goal – only for Hinchliffe to stand tall and block. Hinchliffe’s opposite number was forced to work much the harder in the closing stages – with Buse doing well to parry away one shot from the left by substitute Jake Kirby, and even better to tip over another at closer range courtesy of Mulhern, who had connected first time with Scott Duxbury’s cross on the left. 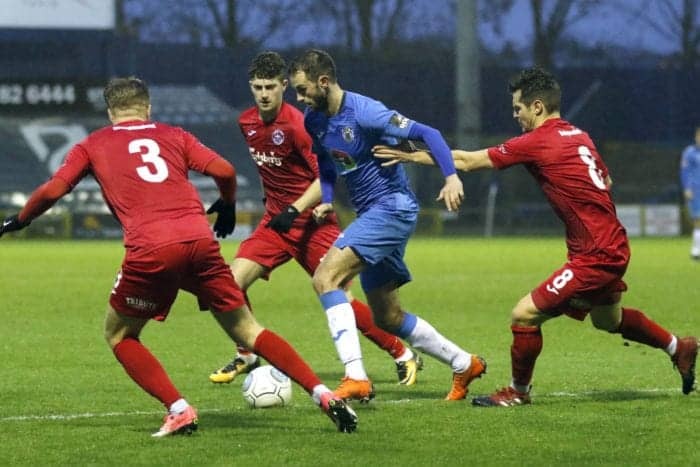 But, needless to say, the outcome was already well without doubt – and any threat of a gruelling midweek schlep to replay in Cornwall’s sole city avoided, as the Hatters now go into the hat for Monday’s Third Round draw. FULL-TIME: County 5 (Warburton, 3, 17, 27 and 65; Stephenson, 29), Truro 0. Team: Hinchliffe, Minihan, Duxbury, Keane, Palmer, Stott, Thomas, Turnbull (Capt.) (Walker, 66), Mulhern, Warburton (Kirby, 71), Stephenson (Osborne, 79). Man of the Match: Warburton.